Peaceful seated Buddha with prayer beads. 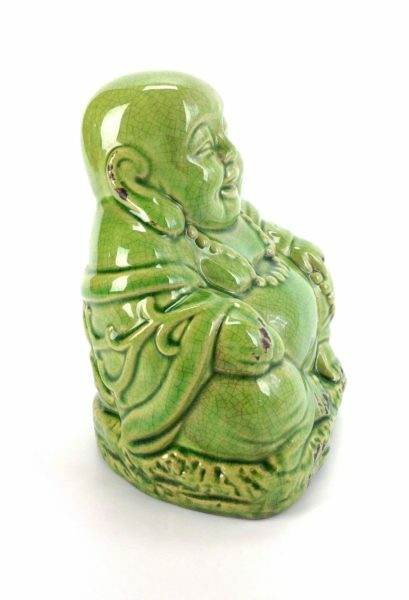 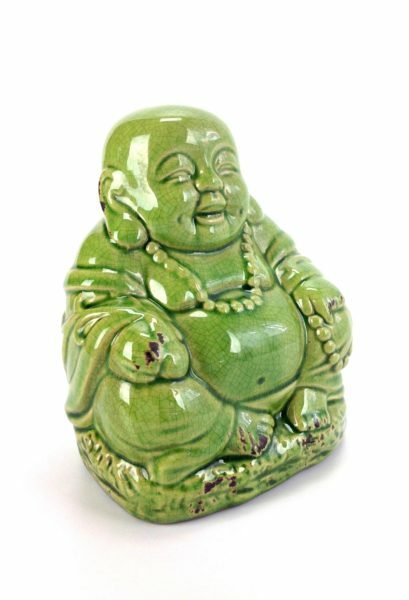 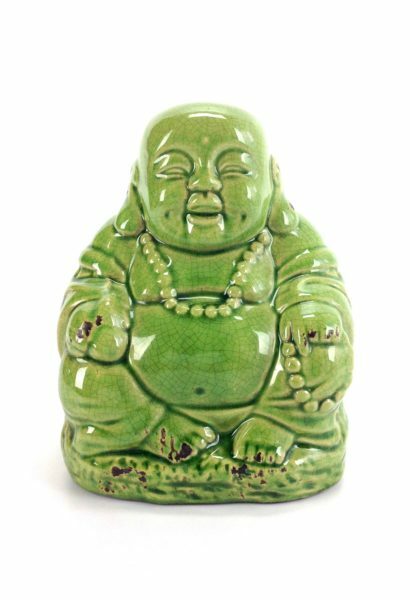 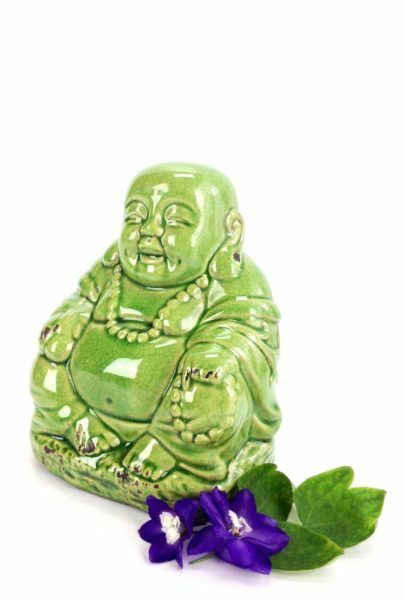 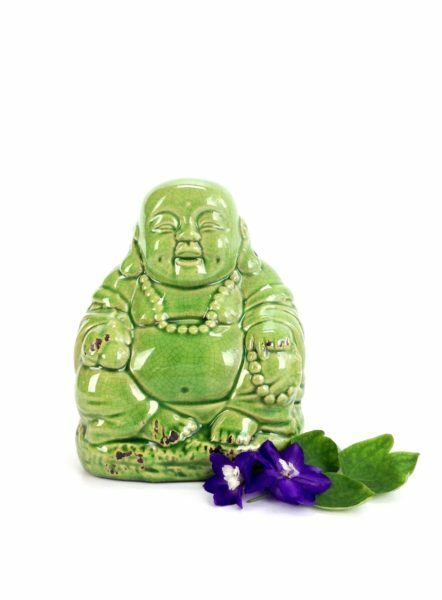 Green crackle glazed ceramic with a vintage vibe, this Buddha is smiling, calming and thoughtful. 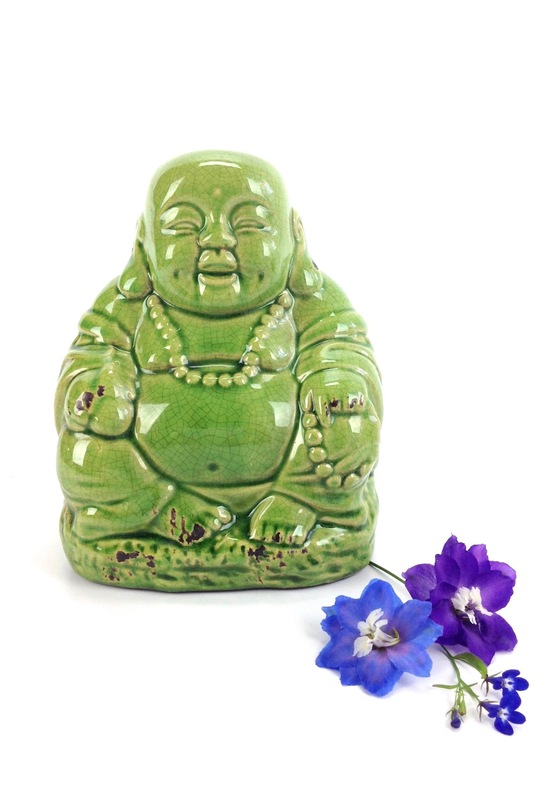 He could rest anywhere in your house to create a peaceful Zen.